WASHINGTON — The number of migrant families and children entering the U.S. from Mexico is so high that Border Patrol is immediately releasing them instead of transferring them to the agency responsible for their release, forcing local governments to help coordinate their housing, meals and travel. “The volume of ‘vulnerable populations’ is unsustainable. Our system has been able to cope with high numbers in the past, but the composition of today’s flows makes them virtually unmanageable,” she wrote. 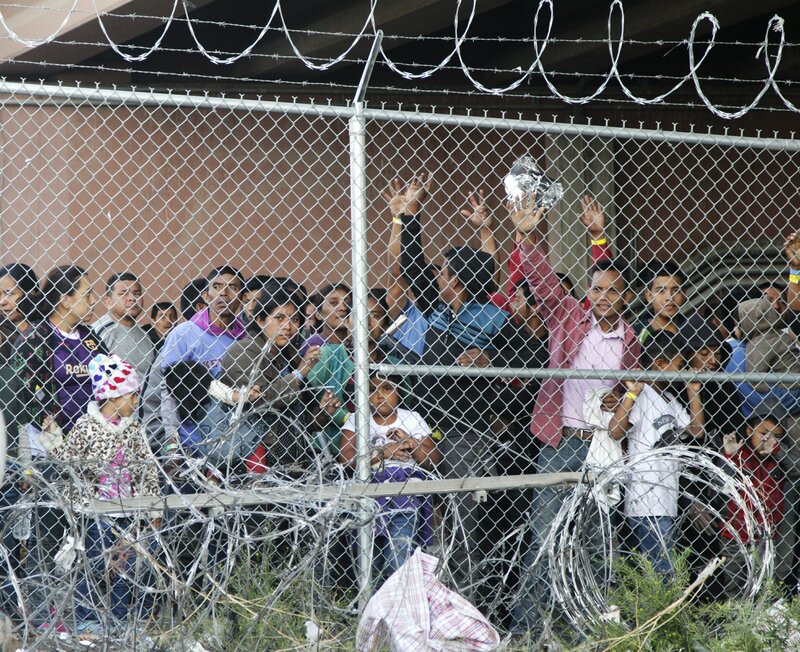 But federal lawmakers have fought over whether there is a “crisis” at the border, particularly amid President Donald Trump’s push for a border wall that he claimed will solve all the immigration problems. Wisconsin Republican Sen. Ron Johnson, Chairman of the Senate Homeland Security Committee, said Thursday the evidence shows the immigration system is cracking under the strain. “The sad reality is that we now have a virtual open border for any migrant who crosses with a minor, and our border security enforcement has been reduced to a mere speed bump for migrants on their path to long-term occupancy in the United States,” he said, adding border officers are being asked to perform an impossible task with no help from Congress. Most immigrant families coming to the U.S. don’t plan on staying in the border towns they cross through, but rather to meet up with family throughout the country. “Focusing on the humanitarian effort is the most important focus for the city, Nicholls. The facility in Yuma has the capacity to temporarily hold 410 people. Until Thursday, ICE had been picking all of these families up and taking them to Phoenix and Tucson to be processed. But the numbers have swelled so much now that ICE doesn’t have enough resources to pick everybody up, so Border Patrol agents themselves are releasing families in Yuma. “It is overwhelming us locally, as well as overwhelming the system nationally,” Landrum said. “The sheer volume of family units crossing the border has overwhelmed ICE’s limited transportation resources; combined with a requirement to detain these individuals for no more than 20 days, the agency has no option but to expeditiously arrange for their release,” ICE spokeswoman Sarah Rodriguez said in a statement. The agency makes “every attempt to coordinate the release of these individuals with NGOs that provide assistance with basic needs, but the heavy influx in recent months has inundated these organizations as well,” Rodriguez said.